A memorial video need not to be complex. Arranging photos in chronological order and accompanied with favorite music, tells a story of a life in a touching way that family members will cherish. Many families find comfort in gathering and selecting photos for the memorial video - it becomes a special time of reminiscing and sharing memories. 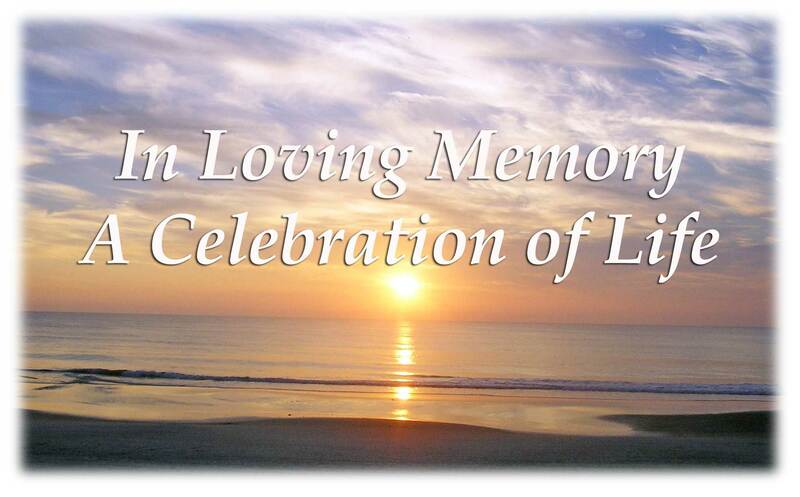 This special video can be presented during the visitation or gathering as well as part of the funeral, memorial or cremation service. The atmosphere of the service changes with the flood of memories - the many joys they shared during the life's journey with their loved one. For friends and family unable to attend the service, copies of the memorial video can be sent to them to remember times past. Every life should be honored, remembered and celebrated. Memorial videos are simply the best way to capture the essence of an individual's life and can be shared with friends, family and generations to come. What is Needed to Make a Memorial Video? How Long is the Memorial Video? Four minutes in length - photos appear on screen for eight seconds. Presentation can be played once or in a "loop"